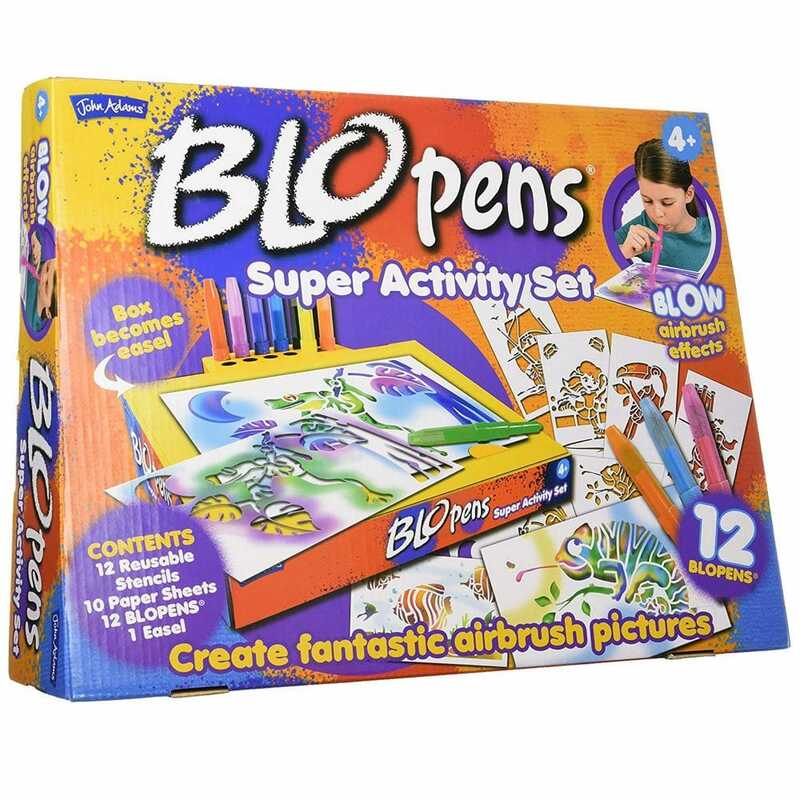 The Blo pens super activity set allows you to create designs from one of the 14 unique stencils and the work station alows you to store your pens leaving you a mess free area. Contents: 12 x Blo pens, 1 x work station, 10 x sheets of paper, 14 x reusable stencils. Very pleased with the grandson was very pleased with his Christmas present.